Yesterday I ate monkey brain for lunch. Before you think I’ve gone off the deep end and committed a heinous dietary taboo, let me explain. Monkey brain is the curious name of a signature sushi appetizer at Cary’s Yuri Japanese Restaurant (www.yurijapaneserestaurant.com). 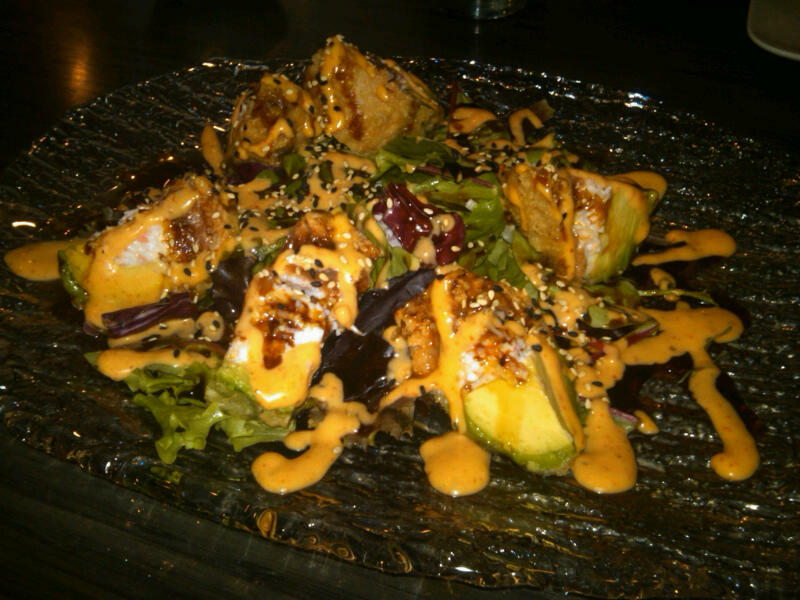 This culinary delight features copious amounts of avocado along with lightly fried crabmeat and spicy tuna. It’s also absolutely scrumptious. Yuri is possibly the most underrated eatery in the Triangle when it comes to places to procure quality sushi. I’ve blogged about it previously, but an encore post is appropriate because Yuri is just that deserving. Imagine a posh, serene Asian emporium where you can escape from the heat and stress of work and enjoy a magnificent dining experience. Yuri won’t disappoint. Here’s a Lunchboy proclamation for you: The top-selling Ahi Tower is the best item on the menu—and the finest sushi fare I’ve tasted—bar none. This culinary creation comprises avocado, tuna, crabmeat, and three types of caviar all served on a huge glass plate with spicy sauce. Check it out and let me know what you think. I’m confident you’ll love it. In fact, when you go, be sure to tell Thomas, the owner, that David from Cary Magazine sent you (he doesn’t know me by my blogger alter ego). This kind of glowing blue switch bit has been great and also actually in touch with the particular fanbase, that has been about requirement regarding glowing blue calls – rolex replica not merely coming from Breitling yet coming from plenty of brand names. fake hublot The particular craze regarding glowing blue calls started in 1969 together with Breitling right up until that function struck not too long ago the particular is bordered by regarding timepieces, nonetheless it has been an appealing added-value coming from Breitling to utilize this kind of coloring to a aviation bit including the Navitimer. patek philippe replica sale Developed inside 1952, the particular Navitimer provides declared that alone as one of the five fantastic the twentieth millennium watchmaking classics – breitling replica plus a cult thing for many zealous aviaation lovers. breitling replica uk Over time, the particular features regarding timepieces provides altered. These kinds of components have been when used in order to see the moment.